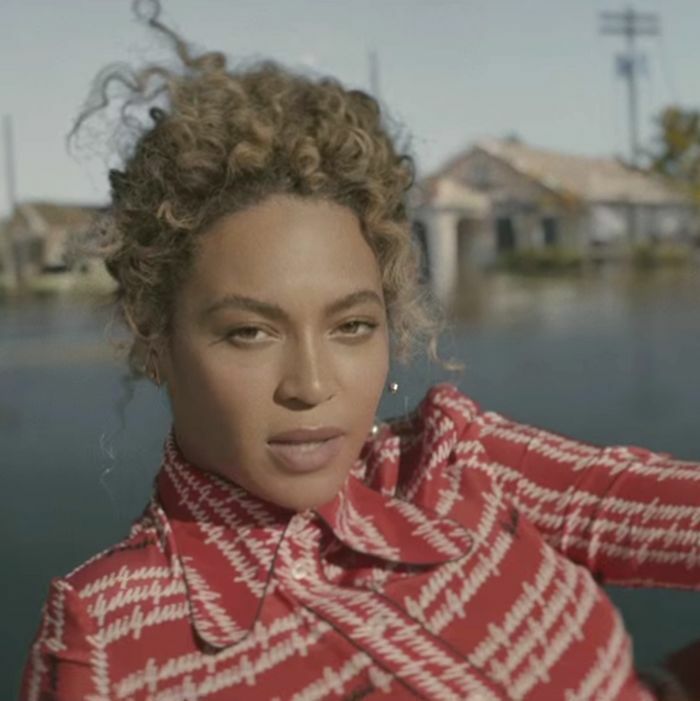 By now you’ve seen Beyoncé’s instant-classic “Formation” video hundreds of times. The fashion! The quotes! The middle fingers! It’s impossible to look away — or to watch without wanting to know more about every little detail. What’s this fuss you’ve likely heard about stolen footage? And who are those people not named Beyoncé slaying all over the track? To answer those questions and more, Vulture did a quick investigation into all things “Formation.” Let’s get information! Though originally misreported as having been self-directed by Beyoncé, “Formation’s” actual director is none other than Melina Matsoukas. She won a Grammy for directing Rihanna’s “We Found Love” video, and has directed eight other Beyoncé videos since 2007, most recently “Pretty Hurts.” Matsoukas has also directed videos for Solange Knowles (“Losing You,” “I Decided”) and Jay Z (“Run”). In a statement to EW, Beyoncé’s reps confirmed that “The documentary footage was used with permission and licensed from the owner of the footage. They were given proper compensation. The footage was provided to us by the filmmaker’s production company. The filmmaker is listed in the credits for additional photography direction. We are thankful that they granted us permission.” Matsoukas later tweeted her thanks to Bagheri, who responded with his own thanks for the credit, seemingly resolving the copyright issue. The video was filmed, at least partially, on location in New Orleans. (Back in December, Beyoncé was seen filming at the Superdome, though that footage does not appear to be in the video.) She is seen sitting and standing atop a New Orleans police car, while parts of Katrina-affected New Orleans are featured throughout the video, as are several local spots (including a beauty store). Those literal formation lines? They are the work of choreographers Dana Foglia, whose dance company worked on Beyoncé’s 2014 VMAs performance; JaQuel Knight, who choreographed Beyoncé’s classic “Single Ladies” video; and Chris Grant, who has choreographed for Beyoncé in the past. And those voice-overs you hear at the end saying, “Girl, I hear some thunder / Golly, this is that water boy, oh lord” as Beyoncé drowns herself with the NOPD car — that’s a sample from Tia Lessin and Carl Deal’s acclaimed 2008 Katrina doc, Trouble the Water.